How to set Transparent color for the ToolTip Image? Transparent color can be used on Header, Body, or Footer image of the SuperToolTip. 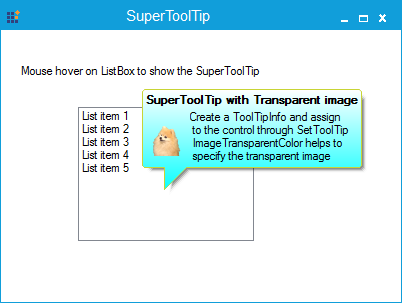 This can be set by using the ImageTransparentColor property of the ToolTipInfo object.